The made-in-China Envision is now on sale in North America. 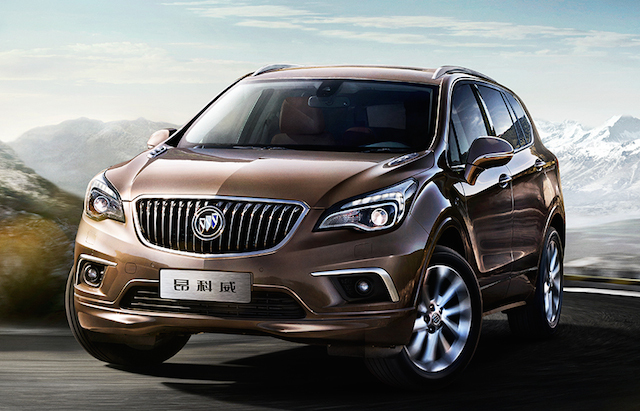 The Buick Envision is GM’s first Chinese import to the US. The Buick Envision has arrived, the third crossover in this tri-shield brand’s portfolio. Only you wouldn’t know that without closely examining US auto sales data for May 2016. Tucked within that information are the 89 Envisions sold in the US last month. As promised, Buick said the Envision would go on sale in the second quarter of 2016. However, instead of the customary fanfare accompanied by TV ads and a media push, the Envision has quietly gone on sale. Why the quiet debut? Buick told Automotive News the Envisions now on sale are high-trim level 2016s. In a few months, the full range of Envisions will be made available and sold as 2017s. Its an unusual approach, but it may signal an internal decision to avoid political theater. Indeed, the Buick Envision is made in China and it might receive unwanted attention from the presumptive Republican presidential nominee, Donald Trump. Trump has harshly criticized US manufacturers for shipping jobs overseas or importing products that could just as easily be built by Americans. Just last week Trump criticized the PGA Tour for its decision to move a tournament from the US to Mexico. The WGC-Cadillac Championship has been played at the Trump National Doral near Miami and will shift to Mexico beginning in 2017. Cadillac’s sponsorship was ending and will be replaced by Grupo Salinas, an assemblage of media companies. Notably, Cadillac and Buick are GM brands and just this week Trump blasted the automaker for its investment in Mexico. GM now joins the Ford Motor Company, Carrier and Nabisco, as companies the presidential candidate has attacked. 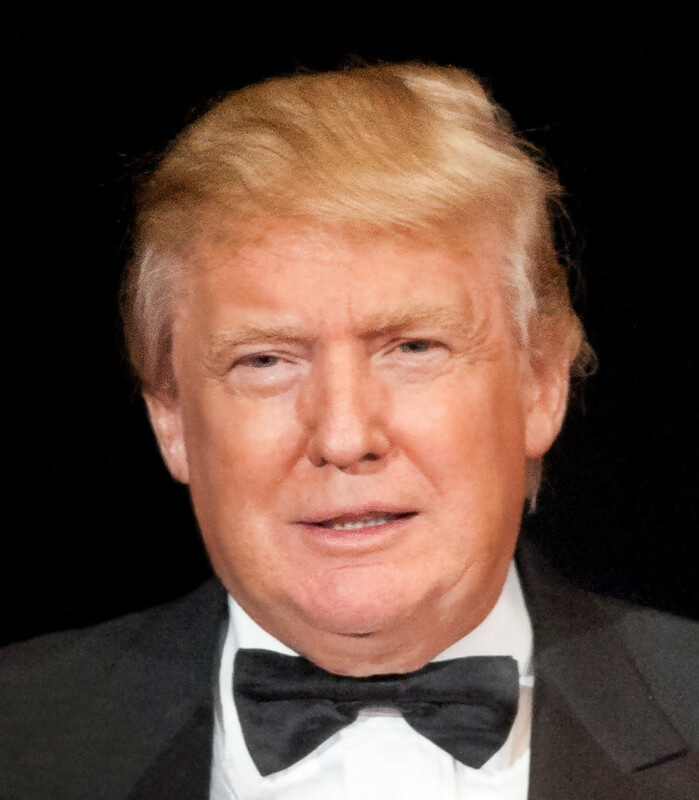 While campaigning, Trump has suggested a 35 percent tariff on vehicles imported from Mexico. Of course, that recommendation ignores NAFTA (North American Free Trade Agreement), a trilateral agreement the US made with Canada and Mexico to do away with numerous tariffs. Political posturing aside, the Chinese-made Buick Envision fills an important hole in the Buick product line. Prior to its arrival, Buick offered the subcompact Encore and midsize Enclave crossovers. The Envision provides a natural step in the product line for Buick customers. Visit the Buick.com website today and you’ll find no information about the Envision on its home page. Click the “All Vehicles” tab and a model list is shown. Cast your eyes on the “SUVs” category and you’ll spot the 2016 Envision tucked neatly between the 2016 Encore and the 2016 Enclave. You’ll also spot a sky-high price for the Envision, starting at $42,070 or $3,005 higher than the Enclave. Click the “explore” tab, then “view specs” and you’ll find two trim levels featured. Both are fully-loaded all-wheel drive versions, the only models marketed in the 2016 model year. Head back to the “all vehicles” tab and you’ll spot the 2017 Envision and a note explaining its fall 2016 availability. Click “explore” and a list of five trim levels will appear. The base price for the standard Envision is $34,990 with Preferred ($36,795), Essence ($38,645), Premium ($43,245), and Premium II ($45,885) models offered. Front-wheel drive and a 2.5-liter, four-cylinder engine are standard. All-wheel drive or active twin-clutch all-wheel drive are available. A turbocharged 2.0-liter, four-cylinder engine is offered with the two top trims only. Buick’s model line is expanding and they’re using cars built in Michigan, Ontario, Kanas, and China to draw customers to the tri-shield brand. It is doubtful whether most customers care where their cars are built. And as for American jobs, dealer and service level positions are keeping people employed and tax coffers are replenished no matter where the new car was manufactured. Ford gears up to produce new 10-speed automatic transmissions. Earlier this week, the Ford Motor Company announced a $1.6 billion investment in its Livonia Transmission (Michigan) and Ohio Assembly plants, representing just one part of a $9 billion expenditure in US facilities over the next four years. Ford’s immediate investment will retain or add jobs at the two plants with 8,500 jobs created or retained overall. Trump has been shedding light on American job loss since he announced his candidacy, a topic that attracts voter attention. And rightly so. Unfortunately, he doesn’t always provide a context in his criticism and panders to his constituency. Other candidates, including Hillary Clinton, do the same. But Trump is the only one who has had Ford in his crosshairs. The candidate also claimed he forced Ford’s hand last fall by saying he made Ford return some jobs to Ohio from Mexico. Trouble is, those jobs at its Avon Lake, Ohio, plant were scheduled to shift all the way back in 2011. Production of F-650/F-750 medium-duty commercial trucks began last August, but Ford says it hadn’t spoken with Mr. Trump and that its decision was announced nearly four years earlier. As for the most recent $1.6 billion investment, Ford says $1.4 billion is earmarked for its Livonia Transmission Plant and the remaining $200 million will go to the Ohio Assembly Plant. These funds represent part of a $9 billion guarantee Ford made in the 2015 UAW-Ford collective bargaining contract to continue investing in its U.S. plants. Ford’s Michigan investment follows a special collaborative agreement it made a few years back with its arch-rival, the General Motors Company. In 2013, Ford and GM agreed to jointly develop an all-new generation of 9- and 10-speed automatic transmissions. Designed to be built in both front- and rear-wheel drive variants, the arrangement provides hardware commonality and enables the two automakers to scale costs. And this wasn’t the first time to two companies have developed transmissions. In 2002, GM and Ford came together to build 6-speed automatic transmissions, used in numerous products and to this day. The first Ford product to get the 10-speed automatic will be the F-150 Raptor. The Livonia plant currently builds a 6-speed transmission for several Ford products and will begin production of the new transmission in June. The Chevrolet Camaro ZL-1 will, by the way, become the first GM recipient of the new gearbox. Following the insourcing of jobs from Mexico last year, the Ohio Assembly Plant began building F-350, F-450 and F-550 Super Duty chassis cab configurations earlier this year. The plant is also tasked with producing Ford E-Series cutaway vans and stripped chassis. As for Trump, he may find yet another reason to poke Ford as well as GM and Fiat Chrysler as the campaign attacks strengthen. No, I’m not playing favorites here (after all, I am a Libertarian). Instead, I’m doing my part to present some balance as well as sensibility into the often heated and exaggerated political process.